CHRISTMASSY-MOOD Think I just invented that word and it's just around the corner!!!!! December is my favourite month of the year because everywhere you go.. there'll be Christmas carols playing in the malls (and in my ears because I just realised that there's tonnes of Christmas playlists on Youtube all downloaded into my phone). So yeah hehe. Was just about to head to bed for tonight and that's when I realised I totally forgot to blog about my new set of manicure done with Shanice! Oops, memory's getting bad.. but point is that they are totally awesome! Working with Shanice for these three months, I realise that she is all about gut feelings when it comes to exploring and drawing new designs. What's even more amazing is that her designs always turn out so pretty! Every. Single. Time. I've got a halloween theme for October, a pastel chart for November... and now it's a Christmas on my nails. It's like my nails are having celebrations too hahaa. (Lucky nails!) Talking about creativity, I even spotted a mini sized 3D gingerbread man that she made as a nailart embelishment from scratch for one of her customer! Now I'm just regretting why hadn't I took a picture of it because the level of cuteness is just ooover the roof. 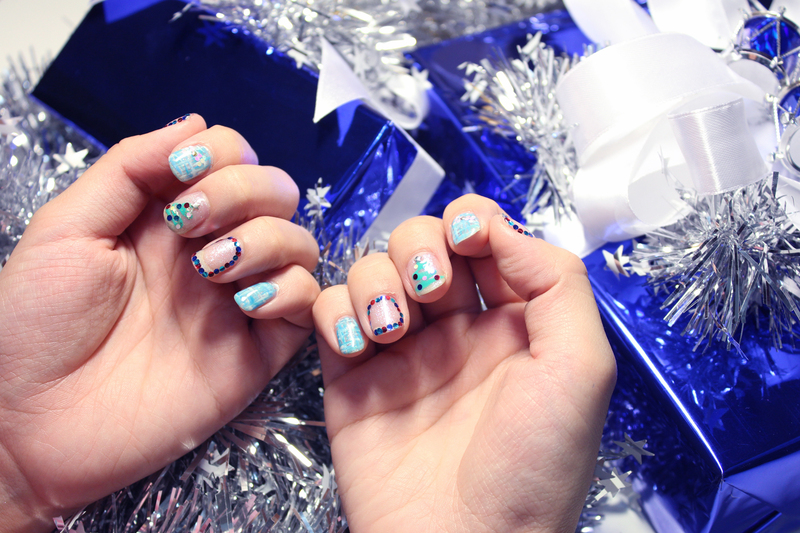 Christmas is still about a week away so there's still time for a manicure! Shanice has a Christmas promo till end of this month - selected Xmas design gelish mani that's just priced at $60! P.S. Remember to mention the code "Jaslin60" when you contact Shanice at 9431 4895! Till end of Dec 2014, choose any of the above set of gelish manicure at just $60. Just feel free to drop Shanice a whatsapp text at (65) 9431 4895 for any inquiries.